Cherries & chili – who would have thunk? Well this chili is my go to from now on! It was out of this world delicious with just the right amount of spice! To serve garnish with a dollop of sour cream & fresh cilantro! 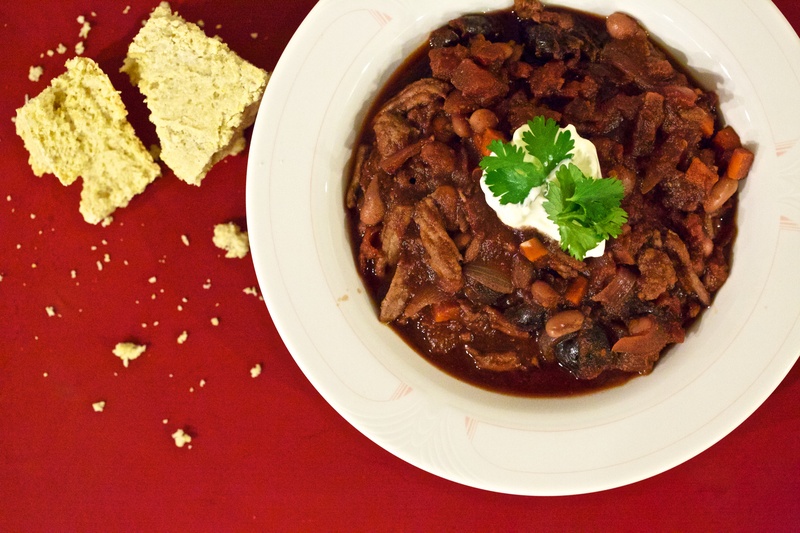 Make sure not to forget to whip up some corn bread for this chili, enjoy!